NEW YORK CITY (May 25, 2017) – FITE TV will stream the entire CES Boxing card, featuring the New England junior middleweight title fight, on Friday night, June 9, starting at 7 p.m. ET / 4 p.m. PT, live on Pay Per View from Twin River Casino in Lincoln, Rhode Island. REIGNING NEW ENGLAND junior middleweight champion Greg Vendetti has won his last 10 fights, eight by knockout, entering his June 9th, 2017 showdown against challenger Khiary Gray. The two have combined for 28 wins, 14 apiece, with 21 victories coming by knockout. WORCESTER, MA – The fight Khiary Gray has wanted for the past year and a half comes with a stern warning. 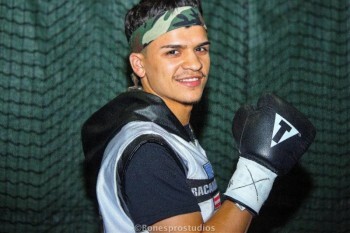 WORCESTER, MA – New England’s top prospect with 10 pro fights of less, undefeated hometown favorite Irvin Gonzalez, is on a fast track going into his June 10th headline fight in the third installment of the “New England’s Future” series, at the DCU Center (Exhibition Hall) in Worcester, Massachusetts. “New England’s Future 3″ is presented by Rivera Promotions Entertainment (RPE), which is owned and operated by retired three-time, two division world champion Jose Antonio Rivera and his son, Anthonee (A.J.) Rivera. LAS VEGAS - Before fans at the Mandalay Bay Events Center in Las Vegas and those watching live on pay-per-view are treated to the much-anticipated rematch between Andre “S.O.G.” Ward and Sergey “Krusher” Kovalev for the WBO, WBA and IBF Light Heavyweight World Titles on June 17, they will be excited by another stellar light heavyweight match-up between Dmitry Bivol (10-0, 8 KOs) and Cedric “L.O.W.” Agnew (29-2, 15 KOs). 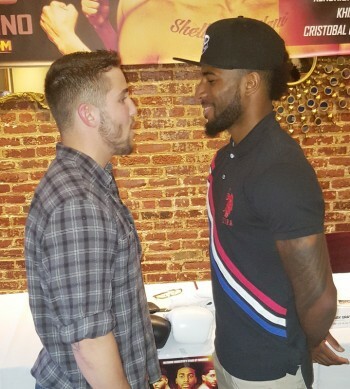 This 10-round bout is presented by Main Events and World of Boxing in association with DiBella Entertainment. The championship event, presented by Corona Extra, will be produced and distributed live by HBO Pay-Per-View® beginning at 9:00 p.m. ET/6:00 p.m. PT. Dmitry Bivol (10-0, 8 KOs) is quickly making a name for himself as the next big knockout artist in the light heavyweight division. The 26-year-old from Tokmak, Kyrgyzstan, now residing in Saint Petersburg, Russia, made his professional debut in 2014 with a sixth-round knockout over Jorge Rodriguez Olivera. He has won his first 10 professional bouts with eight of those wins coming by way of the knockout for an 80% knockout-to-win ratio. In 2016, he handed Felix Valera his only career loss with a lopsided unanimous decision victory to secure the WBA Interim Light Heavyweight World Title. 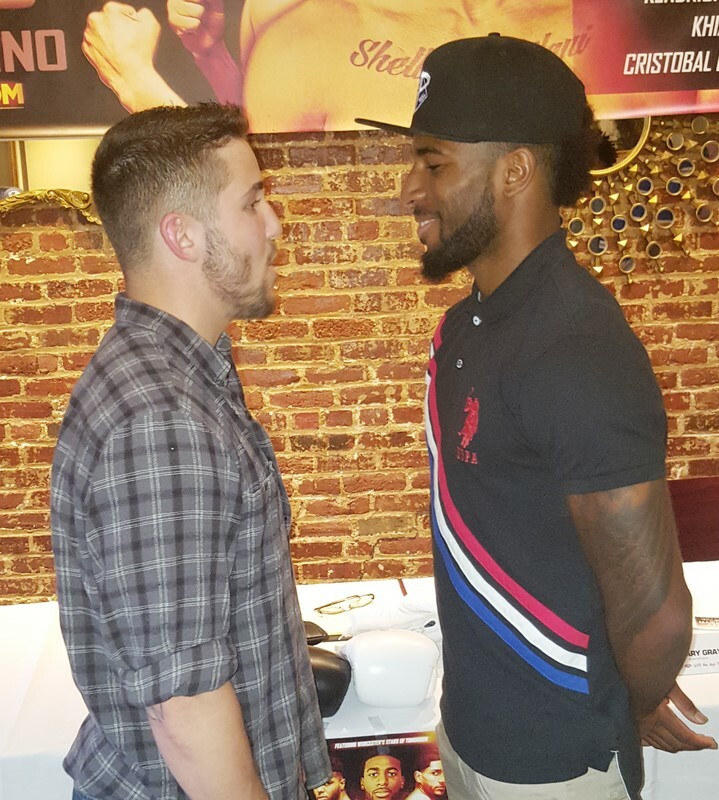 In February of this year, he had his first defense of his WBA Title with a fourth round TKO over Robert Berridge. Less than two months after his win over Berridge, he travelled to the US and stopped Samuel Clarkson in the fourth round in his second title defense of the WBA Interim Light Heavyweight World Title. Cedric “L.O.W.” Agnew (29-2, 15 KOs), is a seasoned veteran southpaw despite still being in the prime of his career at age 30. He made his professional debut in 2007 with a second-round knockout and went on to win his next 25 fights in a row, stopping 12 of those opponents. Next, he challenged then WBO Light Heavyweight World Champion Sergey “Krusher” Kovalev who stopped him in the seventh-round back in 2014. Since, he loss to Kovalev he is 3-1, 2 KOs. His only other loss is a controversial split-decision against Samuel Clarkson, the young southpaw prospect from Texas. Two judges scored the bout 76-75 in favor of Clarkson and one judge scored the bout 76-75 in favor of Agnew. He holds notable wins over Yusaf Mack, Otis Griffin and Daniel Judah. In his most recent bout he stopped Martin Verdin in the second-round in February of this year.